After failing to reach agreement during a regular session that ended last month, Florida legislative leaders have struck a deal to put into effect a voter-approved constitutional amendment that broadly legalized medical marijuana for patients with debilitating illnesses. Gov. Rick Scott added the medical marijuana issue Wednesday afternoon to his call for a three-day special legislative session scheduled to last through Friday. The original call focused on funding for education and economic development. Lawmakers have been under intense pressure to resolve the issue during the special session after a potential medical-marijuana deal blew up at the end of the regular session. The Senate on Wednesday morning announced plans to take up the issue during the special session, and a House committee signed off on the proposal later in the day. One of the key sticking points between the House and Senate had involved how many retail outlets the state’s licensed medical-marijuana operators could run. The Senate favored a limit of 15 storefronts for each vendor, while the House backed a proposal that would have permitted up to 100. 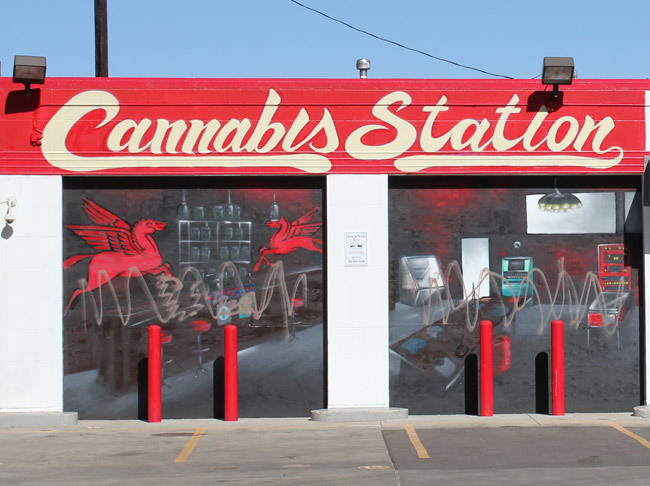 Under the compromise measure (HB 5A) approved by the House Health & Human Services Committee late Wednesday, marijuana operators each could run up to 25 retail outlets. The number of retail outlets the vendors would be able to operate in each of five regions of the state would be based on the populations of the regions. The state currently has seven licensed marijuana vendors, and the agreement between House and Senate leaders would require health officials to approve 10 new operators by Oct. 3. Marijuana operators could also sell their dispensary slots to other vendors, something that was not considered in either chamber’s legislation that failed to pass earlier. As before, under the new plan, the number of dispensaries each operator could run would increase as the number of patients registered in a statewide database grows. The dispensary cap would go away in 2020. Florida’s cannabis industry is expected to explode after the passage of the constitutional amendment, under which at least 420,000 patients in Florida could be eligible for medical marijuana, according to the most recent health department estimates. The measure would also add 57 workers to the Office of Compassionate Use within the state health department to handle the blossoming marijuana industry. House Majority Leader Ray Rodrigues, who has shepherded the measure for his chamber, said that both the House and Senate made concessions to reach the compromise. “Neither one of us got what we wanted, but both of us got something we could live with,” Rodrigues, R-Estero, told reporters after Wednesday’s committee meeting. Some lawmakers heard complaints from constituents when they returned home after the regular session ended, prompting leaders to strike a deal, Rodrigues indicated. Voters believed that lawmakers “didn’t do our job, and it upset them,” he said. Senate leaders had argued that allowing a proliferation of retail outlets would give Florida’s seven state-sanctioned medical marijuana operators an unfair advantage over potential competitors seeking to enter what could be one of the nation’s most lucrative cannabis markets. But scurrying between House and Senate Republican leaders resulted in the deal regarding the dispensary limits. “We drove down to the two-yard line, and we weren’t able to punch it in for a touchdown. Now we’ve scored,” said Sen. Rob Bradley, a Fleming Island Republican who has been a key player on medical-marijuana issues. The Legislature in 2014 passed a law that allowed non-euphoric cannabis for some patients and passed a 2016 law that made marijuana available to people with terminal illnesses. Without legislative action, the Florida Department of Health would be in charge of medical-marijuana regulations. “I think it’s important that the Legislature set the framework for the medical marijuana system in the state of Florida rather than leave it to bureaucrats. We represent the people, and 71 percent of the people voted for this so this is our job,” said Bradley, who sponsored the 2014 non-euphoric cannabis measure. LNESSES” what about the other illnesses that would benefit.I hope that more than the terminally ill patient are going to be allowed to have medical marijuana. As I sit here or lay around in my house in pain day and night, and I made the choice to no longer be on opoids, yet fight the battle of not going to the E.R. with my pain, for fear of a future surgery being delayed if I am taking pain medication. Not only myself, but their are many suffering that can have there pain , or seizures, or even be able to tolerate food if they are permitted marijuana. The people wanting medical marijuana dispensaries and their medical marijuana card are not the same people wanting it to get high. The people wanting to get high on marijuana are going to get it legal or not.The people wanting it for medical purposes are waiting. Goverment and elected officials are delaying medical treatment. They need to work this out soon, they knew before the vote that it was going to win on the ballat.It is not something they needed to wait to after the fact to figure out. Even Oct is putting them close to a year after the vote. That is really not acceptable and if they remain in offices where they are voted in, their slow to action may will be remembered in the next vote.This is to help those in pain.And debilitating health conditions. Maybe this is what’s going in the secret $90,000 building ! !